Gwendolyn Kiste is a horror and fantasy writer based in Pennsylvania. 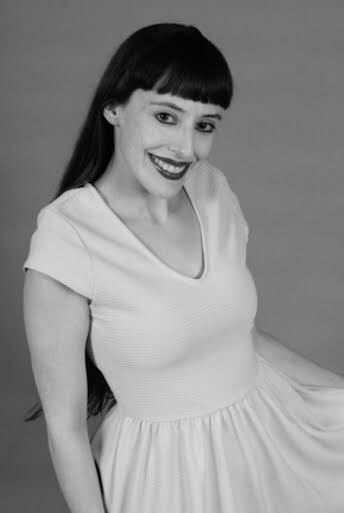 Her fiction has appeared or is forthcoming in numerous publications including LampLight, Danse Macabre, Electric Spec, 99 Pine Street, and Saturday Night Reader. Her short fiction story "Tingo" can be found in the April issue of IVJ. You can find her at www.gwendolynkiste.com and on Twitter (@GwendolynKiste). Everyone in the seafront village knew Violet was the best baker in town. Bread was her specialty, mostly because she couldn’t fine-tune anything else. No matter what recipe she used, her cookies came out like stones and her muffins like clammy sponges. But Violet’s bread was divine. Each night, flavors and feelings wafted through her dreams, and each day, she crafted dozens of masterpieces in her ten-by-ten hovel. The russet honey wheat was even-keeled, best for those adrift, either at sea or at heart. Jalapeño cornbread was pure emerald passion—impulsive but worth every moment. Over the years, Violet mastered exactly six recipes, and while she always wanted another to make lucky number seven—enough for every day of the week—she learned to love the six she had. Because baking was Violet’s whole world, her bread became something more. Like a fortune teller’s crystal ball, whatever sentiment she imbued into the dough would come true. While a few old-timers whispered “witch,” most of the townsfolk considered her creations a no-fail pick-me-up. So despite the town’s population being less than a hundred, only one or two loaves remained at the end of the workday. And even that ancient bread was sought after. Every morning, the local florist named Patricia trudged through the door. However, adventure was what someone else wanted. He appeared at the counter, flashing a fox’s smile and asking to sample the bread. “What do you think?” Violet asked as he savored the sunflower rye. “The people who say you’re the best aren’t lying.” He winked at her and returned every day for a month. Violet learned all about him. Things like how he owned a small marina at the dock. Things like how he preferred jalapeno cornbread to cinnamon nutmeg. Things like his name: Joshua. Violet had never seen a whale, so she locked the shop and joined him. With a thousand merry diversions, Violet and Joshua became intertwined. When he went to sea for a day without her, she longed for him. When he returned, she smiled like a naive schoolgirl. Violet nodded and pretended she was lucky. But somehow, she didn’t believe it. For the next month, Violet’s bread turned out wrong. Sometimes, it would rise too much. Then it wouldn’t rise at all. One morning found the dough crumbly, and the following day, it was mushy and wet like a rain-soaked mutt. Her dreams were an empty fog. Gone were the bright spectrum of flavors. Customers demanded refunds, and the rejected bread retired to the beach. Even the gulls complained. “But nothing matters to me like baking,” she said. “Nothing?” Joshua studied the puddles his boots left on the floor. So Violet sent him away. She cried once—cried with every iota of her being. Then her tear ducts dried up, and her heart turned strong as stone, not unlike her last batch of bread. At sunset, Violet crafted her cinnamon nutmeg recipe. It was a perfect balm for the weary at heart. The first customer of the day, Patricia bought three loaves and promptly returned home to break up with her latest cheating lover. But not everyone was so easily deterred by heartbreak. All Monday morning, Joshua loitered around the shop, and as long as he was nearby, the yeast wouldn’t rise. “What’s today’s special?” he asked, his face drawn. “I think we were perfection,” he said bitterly. Before Violet could respond, Patricia waltzed through the door. She exchanged a glance with Joshua, one that lasted a moment longer than either intended. “Are there any day-olds?” Patricia asked at last. They nodded, transfixed at the thought of Violet’s bread. Treasures in hand, Joshua held the door for Patricia, and together, they plodded down the cobblestone street, rapt in benign conversation. Watching them through the glass, Violet smiled, and for a moment, the lightness in her chest threatened to buoy her to the sky. Instead of floating away, she commenced the recipe for the following morning: lemon zest and cornmeal. Flavors as bright as the jaunty sun in a child’s crayon drawing. It was the seventh recipe she’d been waiting for. Violet worked long into the night. The beautiful aromas from her kitchen floated onto the street, infusing her latest mystical creation into the dreams of all the townspeople. They awoke, smiling and craving something dazzling. Violet turned on her open sign, and one by one, her customers returned to her. After all, she was the best baker in town.